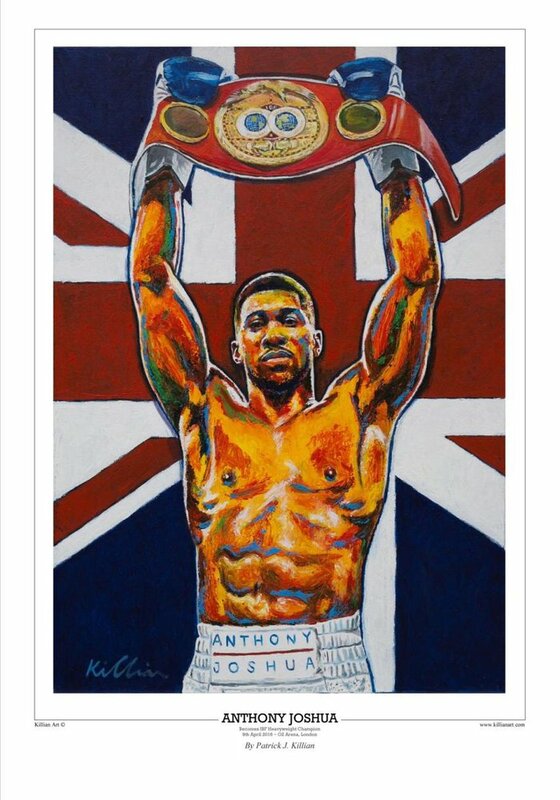 Size : 16.5" X 23.5"
Anthony Joshua, MBE (born 15 October 1989). He is the current IBF heavyweight champion, having previously held the British, Commonwealth and WBC International heavyweight titles. As an amateur he won a gold medal in the super-heavyweight division at the 2012 Olympics, and silver at the 2011 World Championships. As of June 2016, Joshua is ranked the world's fifth best heavyweight boxer by The Ring magazine, and currently boasts a 100% knockout ratio.